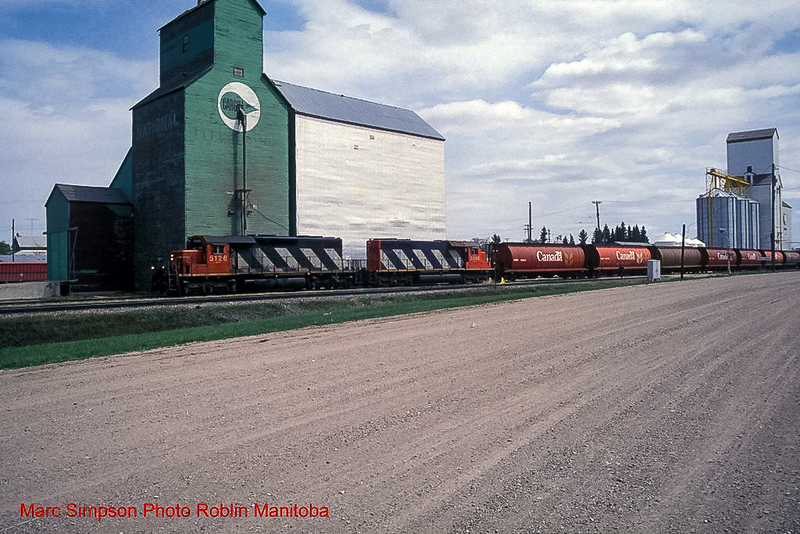 A CN train passes the former Roblin, MB grain elevators in 1993. Contributed by Marc Simpson. 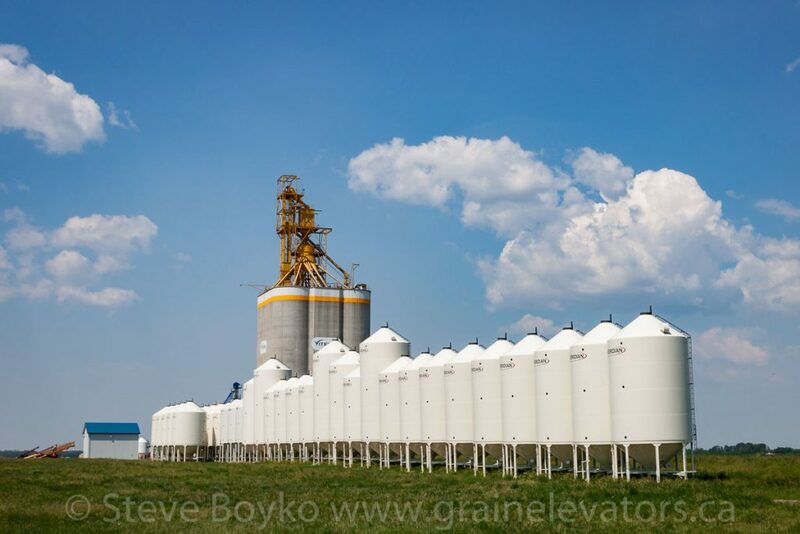 The town of Roblin, Manitoba had two grain elevators until recently. There was a Manitoba Pool elevator (with annex and steel bins) and a Cargill elevator (with annex). The Pool elevator was labeled “No. .1” because it was the first Manitoba Pool elevator. There is a Viterra elevator just north of Roblin. Viterra grain elevator near Roblin, MB, June 2015. Contributed by Steve Boyko.